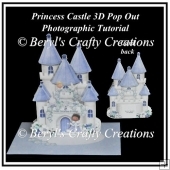 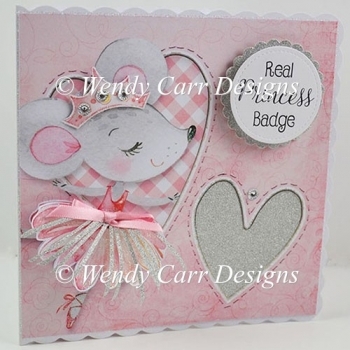 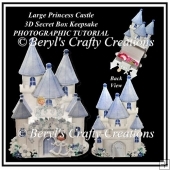 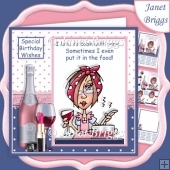 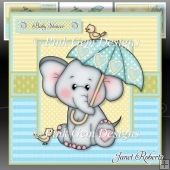 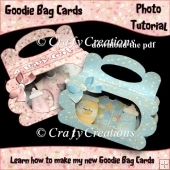 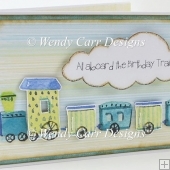 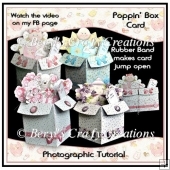 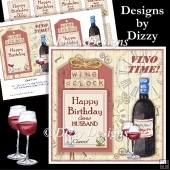 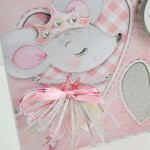 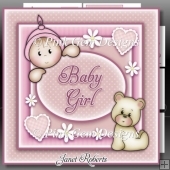 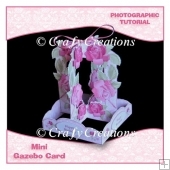 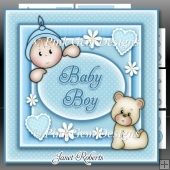 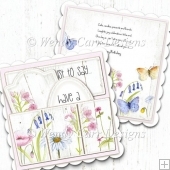 Created to be mounted onto a 7" square card base this pretty card will please every little girl. 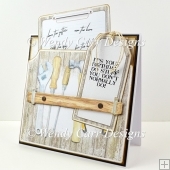 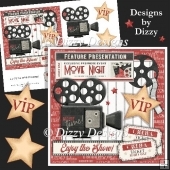 Comes to you in both PDF & Jpeg versions including blank version so you can add your own wording and includes a 2 part insert with tutorial. 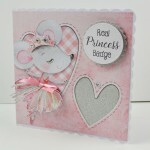 Glitter card & bow are used for demo purposes only.